All these great layouts and cards have been quite inspiring! I'm personally going to lift a few of the great ideas you've shared, and I know I'm not the only one with scraplifting plans. Thank you for being so generous with your work! In all the time we've spent checking out your Evalicious projects, we've not been able to decide on a winner very easily, truth be told. The problem (which is actually wonderful) is that Evalicious goodies work so well with so many scrapbooking styles, and coordinate with so many wonderful paper lines... it just all looks fantastic. (What a terrible problem to have, right?) So, we'll share three that especially caught our eye, and then randomly pick a winner from that small group. 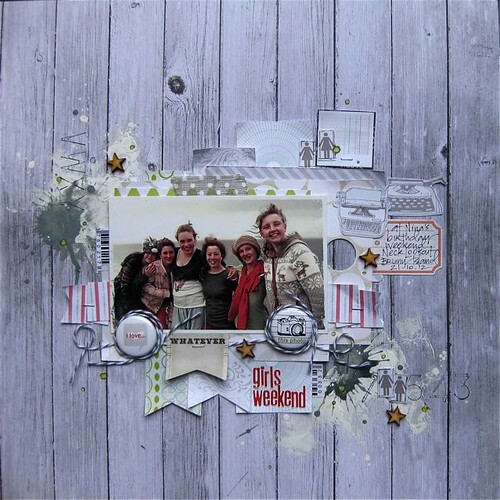 "Girls Weekend" by Gina*R: Paint, ink, layers and layers, and a fab photo are a wonderful base for some spot-on Evalicious badge buttons. And to wrap them with twine and capture that wind-blown feel of the photo? Brilliant. "You" by TerryB64: Simple yet detailed, and with chevron patterns as white space, this layout grabs your attention - and beautifully captures a mother's thoughts of her son. An Evalicious badge button perfectly coordinates with other embellishments for just the right balance. "Selfies" by ekskou: Sewing, arrows, that wonderful teal/yellow/grey color combo, and priceless photos make this layout a fun one to look at. (Oh, and it doesn't hurt to use one of my favorite words. *wink*). That Evalicious badge button really does describe this page! Congratulations, TerryB64! Please contact me at saviostrozny @ yahoo.com for a $5 Evalicious shop code. And my thought is that you should really check out these while you are there! I think they'd look great on more mother/son layouts. Happy shopping! 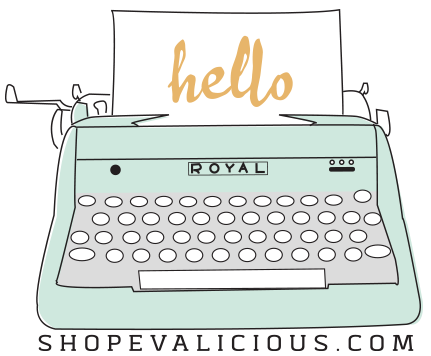 Are the rest of you now inspired to dive into some great Evalicious products, too? Well, when you do, be sure to upload them to our Flickr pool - we'll be diving in and picking another winner in another couple of weeks! So excited to see my lo... Thanks! !